Just two days after the US launched retaliatory strikes in Yemen and vowed to continue with the “self-defense” measures it deems necessary, the USS Mason has allegedly fallen under attack for the third time in a week, according to the Pentagon. “The Mason once again appears to have come under attack in the Red Sea, again from coastal defense cruise missiles fired from the coast of Yemen,” Navy Admiral John Richardson, chief of naval operations, told reporters at an event in Baltimore on Saturday. 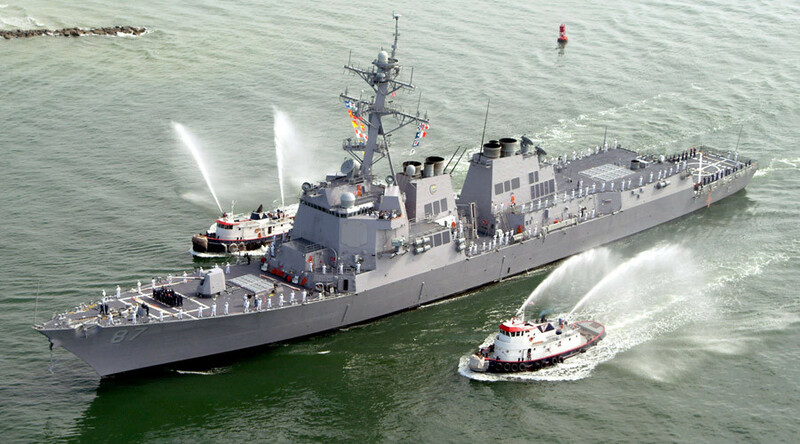 The US warship had to deploy countermeasures to avert being hit by an undisclosed number of missiles that were said to have come from Yemen’s Houthi-controlled territory. “Earlier today, a US Strike Group transiting international waters in the Red Sea detected possible inbound missile threats and deployed appropriate defensive countermeasures,” Pentagon spokesman Cmdr. Gary Ross said in a statement to Navy’s USNI News. The US intelligence is still assessing the situation. No American personnel suffered any injuries. Saturday’s strike against USS Mason is the third that the ship suffered in a week. According to the Pentagon the ship was previously targeted last Sunday and again on Wednesday. In response to the second reported attack, President Obama authorized retaliatory strikes against the radar installations that the US believes were used by the Houthi rebels to attack its ship in the international waters of the Red Sea. Obama’s response escalated the US’ involvement in the 19-month-long civil war, tainted by the indiscriminate bombing of civilians by the Saudi-led coalition which has been documented using American and British munitions. 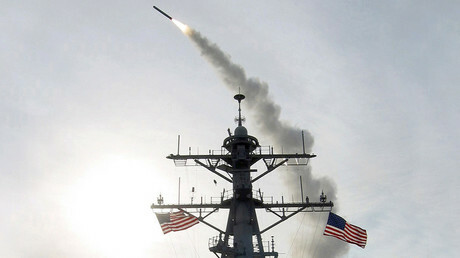 The US President also threatened to take active countermeasures if strikes against US vessels in the region continue. The Houthis previously denied launching any attacks against the US vessel, and expressed readiness to cooperate with any international investigations into the matter. Earlier this week, the Pentagon admitted that the US was unaware of who actually “pulled the trigger,” only asserting that missiles came from the rebel-controlled area. The US side also implicated Iran, pointing towards its support of the rebels. The Islamic Republic, for its part, sent a small armada to the Gulf of Aden as a show of force in the wake of US accusations. Saudi Arabia, along with eight Arab state allies, began a military operation in Yemen in March 2015 at the request of Yemeni President Hadi, a Sunni, who fled the country after Shiite Houthi rebels seized the capital of Sana’a. The rebels recognize Abdullah Saleh as their leader, who was, the country’s previous president forced to step down back in 2012. A UN-backed peace process to end the civil war has yielded few results. The war has so far killed an estimated 10,000 people, nearly half of them civilians, according to the United Nations.